Temperatures are warmer, and there’s more natural light due to the annual daylight savings time shift. This has made a huge difference in how much daylight we have, and I find myself itching to get yard-work done and prep the bbq for grilling season. Just having that little bit of extra sunlight creates a vast improvement in our quality of life. This really underscores one of the main reasons why we plan to move away from the Pacific Northwest. It’s more than just about finances. Quality of life plays a huge part. For now anyway, let’s dig into the finances! Dividend income in March amounted to $11,161. March is always a big dividend income month for us. That’s just how quarterly dividend payments from our assets “land” in the account. March, June, September, and December always end-up being big dividend months. For the year so far, we’ve collected $13,883 in dividends. This is $1,607 ahead of where we were last year at the end of March. 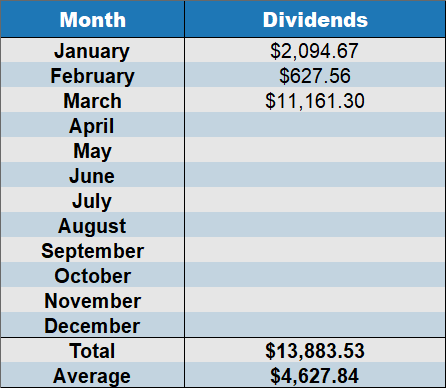 We really hit it out of the park in March, and I’m fairly pleased with our dividend income so far. At this rate, we should be able to reach our 2018 dividend growth goals. Last month I vaguely promised we’d increase our monthly food spending so as not to seem so miserly. Well, you’ll be glad to know that we spent $490 on food in March. That’s an increase of $37 from February. Woah big spender! I need to take it easy! As usual, we ate well despite spending not a whole lot. Mainly this is because we cook most of our meals at home, but this doesn’t mean we skimp on ingredients, or eat terrible food. In fact, most of the time it feels like we’re splurging on food. You can’t even see the noodles in that picture! It’s buried under the shrimp somewhere. Clearly I could have used less shrimp (or even a cheaper protein), but I decided to splurge a little. We do eat more frugal fair as well. 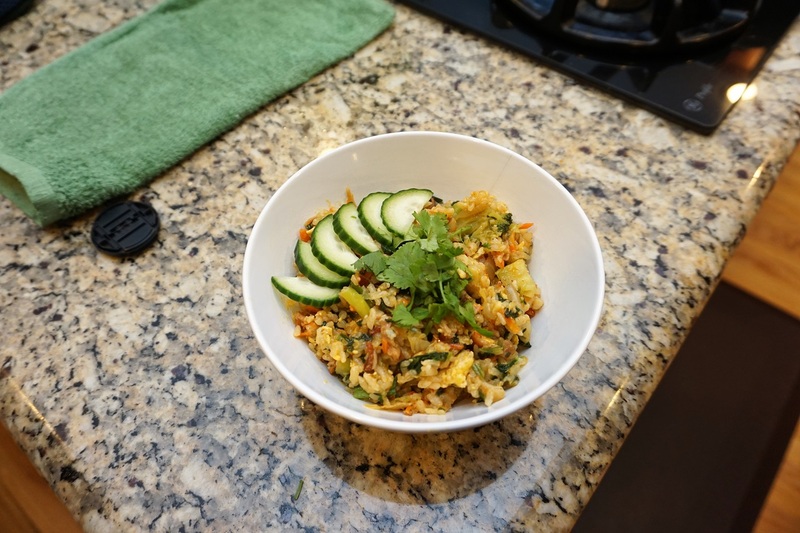 For example, when I have a bunch of odds and ends in the refrigerator, one of my favorite go-to recipes is fried rice. It’s a great way to cleanup leftover rice and “miscellaneous” items from the kitchen AND produce a delicious dinner. Waste not, want not! 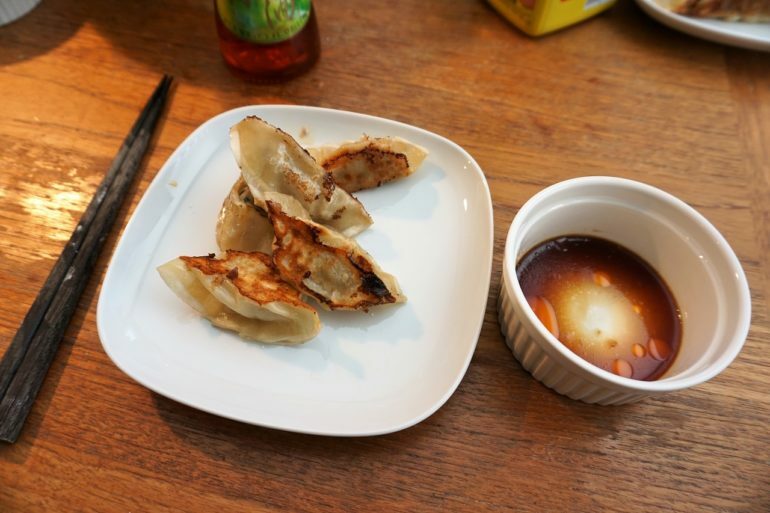 In March we also made homemade gyoza. 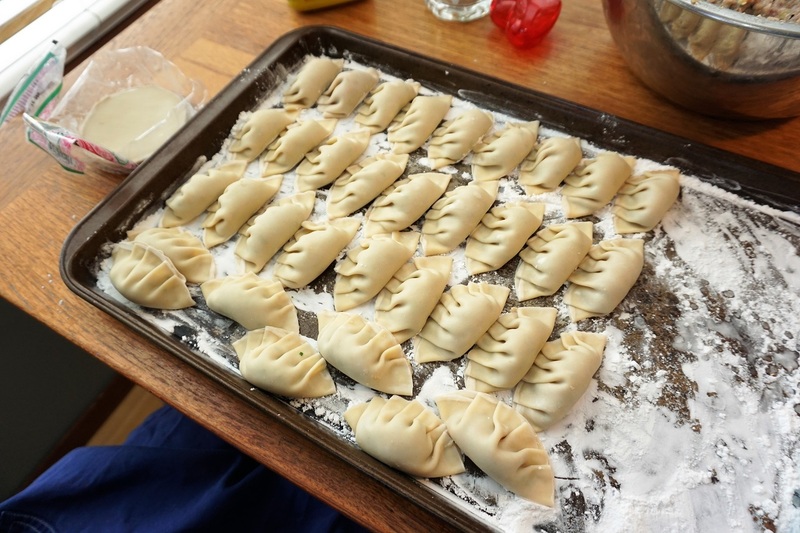 This dish requires a lot of manual work (preparing and wrapping), so we don’t do it frequently, but the results always taste awesome. 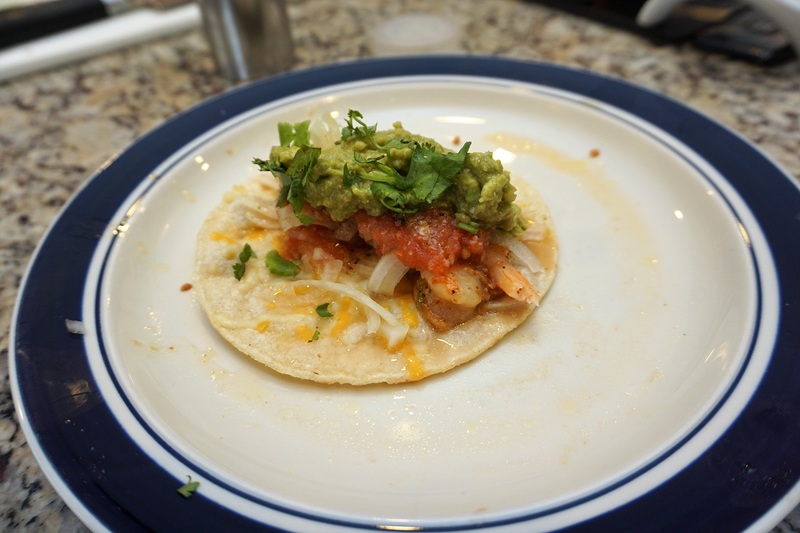 The second is a chili-lime shrimp taco which includes the same homemade guacamole and a fresh homemade salsa. Did I mention I love tacos? 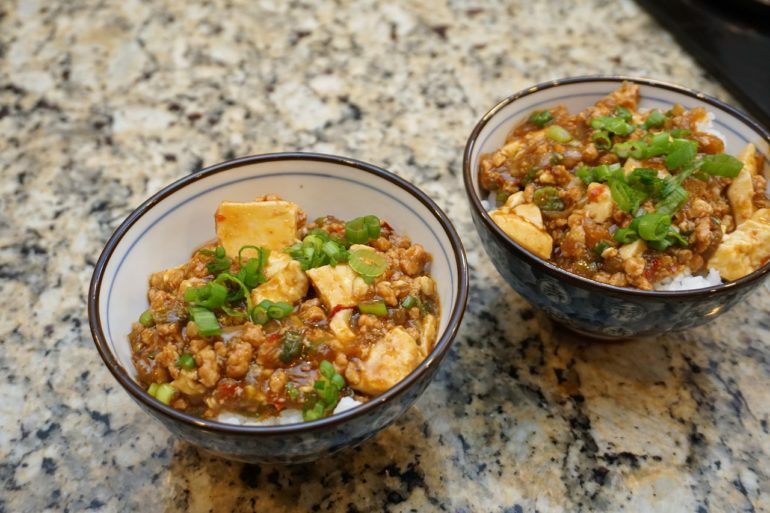 Japanese-style mapo tofu was another family favorite we made in March. 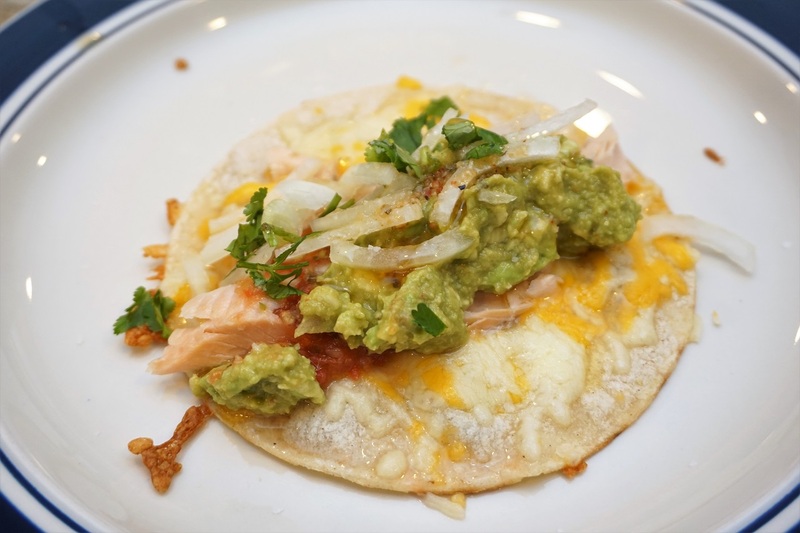 It’s a fairly easy recipe to make and the just kids love it, frequently asking for second helpings. 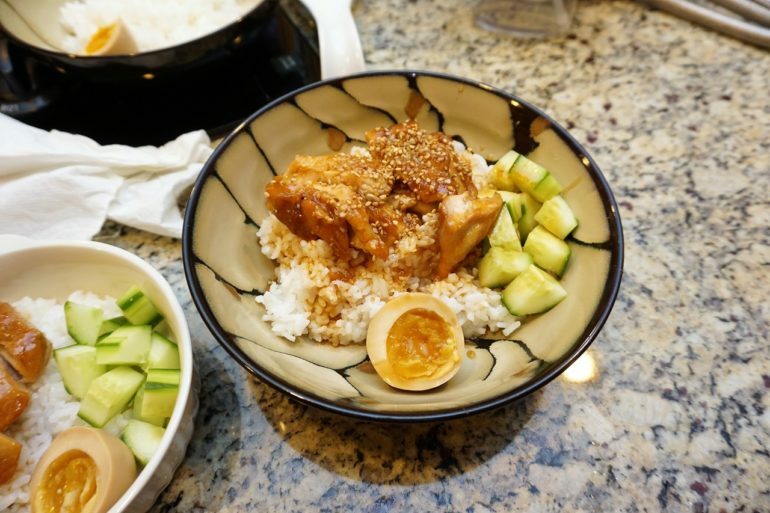 It’s a little different than your typical strip-mall teriyaki, but we like it. As you’ve probably noticed from the pictures we don’t eat a lot of red meat. That’s intentional, and we didn’t eat beef once in March. 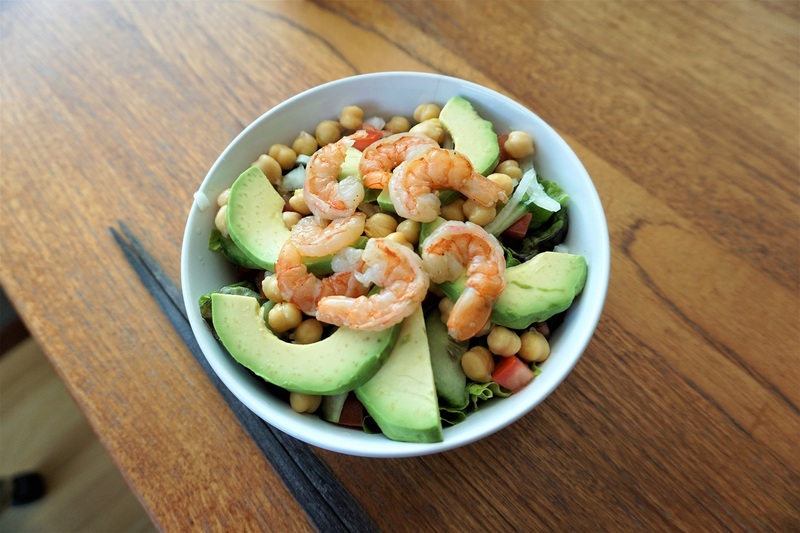 Chicken, tofu, eggs, beans, and shrimp tend to be our go-to proteins of choice. We generally try to eat a higher percentage of our diet in vegetables rather than protein heavy meals. Salad nights happen at least once a week, but they don’t make for quite as exiting photos. In March, we spent $60 on fuel. That’s about two fill-ups for the car. This reflects an increase in driving we did after all the snow melted, but generally we didn’t drive a whole lot. Whenever possible, I try to walk or time my driving to happen when there’s the least amount of traffic on the streets. We’ve done a pretty good job this year keeping our fuel expenses low. 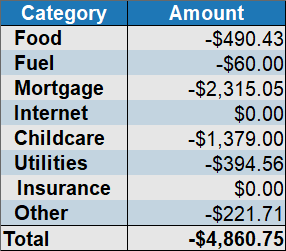 As usual, monthly mortgage and childcare expenses were our two largest expenses in March. Combined, these two items totaled $3694. Unlike many families however, these expenses are entirely optional for us. Using spare cash I could easily pay-off the mortgage. If I wanted to, I could take our youngest son (Tako Jr. #2) out of daycare, and trim that cost too. 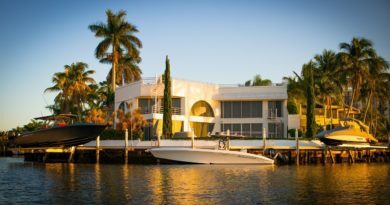 Those actions would completely eliminate our two largest expenses, but I would no longer have all that spare cash to invest, and no time to blog either. On top of that, Tako Jr. #2 would be missing out on his language immersive daycare (The daycare is completely non-English). We’ve decided to keep these expenses for the time being. It should come as no surprise that our internet bill was $0 again in March. For the last 10 months our internet bill has shown up here as $0 because we pre-paid our internet expenses way back in May of 2018. This no-bill business will finally end next month. We’ll see a new cable internet bill in the next monthly update. For the curious — Our internet service is 60Mbps down and 5 Mbps up cable internet. That’s plenty fast for our needs, and it normally costs $49.95/month. Utilities in March amounted $394, which is fairly high for us. This included a bi-monthly water bill at $240 and a energy bill of $154. This fairly large energy bill I attribute to the very cold and snowy winter weather we had in February. We needed to burn a lot of natural gas to stay warm this winter! Our monthly insurance bill totaled $0 again in March. Whenever possible, we try to pay insurance premiums for the entire year all in one go. 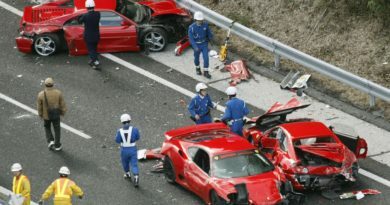 Our car insurance (for example) is paid once per year. This is always a large expense, but most insurance companies give-out a discount for paying it all upfront — so it’s actually cheaper to do it this way. Our last big insurance bill was back in October 2018 when we paid our annual car insurance bill. $22 Airfare expenses for our upcoming summer trip to Texas. $55 Sushi dinner out with friends. $28 Lego set for Tako Jr. #1’s birthday. Yep, it was a spendy March! We even ate out at a restaurant! For the year so far, we’ve spent $13,981. Outside of our mortgage and childcare, this means we’ve spent $3252 in 2019. I wish we could do a little better, but I don’t want to cut things to “the bone”. In my mind, it’s better to be frugal and not feel deprived instead of being extremely frugal and feeling deprived of a good life. Personally, I’m just happy that our expenses for the first quarter were completely covered by our dividend income. It’s a goal of mine to keep our expenses in this “happy place”. Opinions on our frugality may differ, but it is personal finance after all. I’m not comparing myself to anyone, but I try to keep our expenses low. Oh boy, there is lots to talk about on the investing front this month! We made some changes to our portfolio in March, which have been a long time in the making. The first move, was selling 800 shares of DowDupont. Despite making capital gains of around 20% and annual dividends of about 3% annually, I was unhappy with this investment. Yes, we made money. Yes we did OK, but this investment failed my compounding test (which I require for holding stocks long term). During the time we held the stock, management was unable to compound value for shareholders in the form of cash flow per share increases, dividend increases, or most other methods of valuing a business. Frankly I’ve held this view for a couple years, and have been waiting for the opportunity to sell. So why did I sell right before the spin-off of Dow from DowDupont? Mostly to save myself from paying additional fees when selling. Also, I’m not convinced that splitting apart the two businesses is really going to create additional value for shareholders over the long term. Will I miss out on a few gains from selling before the spin-off? Maybe! After several years of watching DWDP, I was fed up. Management had plenty of retained earnings and healthy business margins which they could have compounded. From what I can tell, they didn’t! I decided to finally dumped the investment in March. The second big move of the month, was putting spare cash into the purchase of 700 shares of Discover Financial Services (Symbol: DFS), and 110 shares of LyondellBasell Industries (Symbol: LYB). This resulted in net new cash invested of $16,991 in March. The third big move in March was selling put options on 3 stocks I desire to accumulate more shares of. (Two of which are discussed above.) This option writing is just a little experiment on my part. I don’t claim to have any special option trading expertise, but I can see a bet with a high probability of winning when it’s put in front of me. Income from selling these options amounted $1,289, which I hope to pocket in a few weeks when those options expire. Should the owner of the options decide to execute the put, I’ll happily buy shares in the 3 companies I wrote options against. This will have the net effect of considerably lowering my overall cost basis, which is positive for a long-term owner like myself. That’s it for March! I’ll do another one of these monthly updates next month! ← Why Don’t We Travel More? I’m always amazed at how low you keep your expenses, Mr. Tako. $22 for airfare? Was that the taxes on tickets that you bought with miles? The food, as usual, looks delicious. 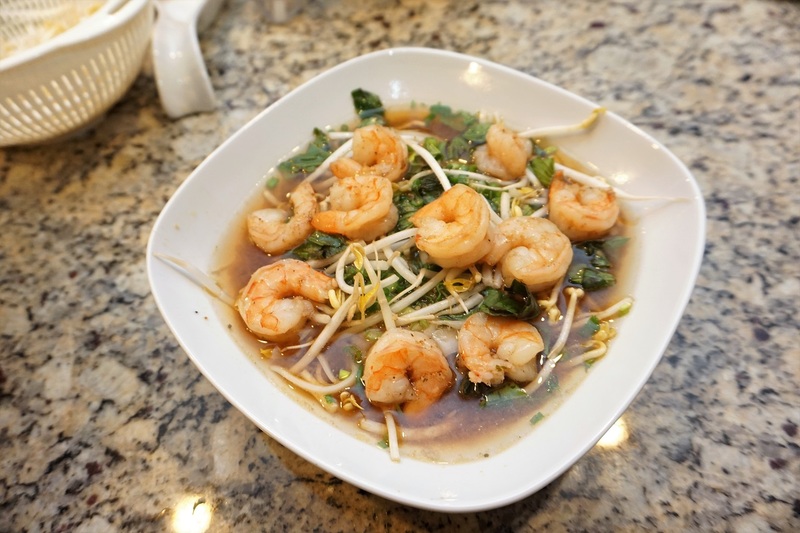 Do you buy a big bag of frozen shrimp for the pho? Hope you’re enjoying some warmer Spring weather! Hehe, thanks Laurie! Sometimes I feel like a giant failure in the expense department. You are correct in that the $22 was for taxes, the rest was paid for with miles. For the pho, yes we typically buy a bag of frozen shrimp from the bulk food store. I think it’s $11 and some change for two pounds of shrimp. Nice to see your putting some of that cash to work but overall probably a very small percentage of your pile. Also just saw this news….Computer Services, Inc. (CSI) (CSVI) announced today that its Board of Directors declared a two-for-one stock split in the form of a stock dividend. The stock dividend is payable on April 30, 2019, to shareholders of record on April 11, 2019. Looks like a taxable event so I think I will wait to buy shares after the record date. We just got back from our trip to Florida and drive right past their headquarters in Paducah, of course there are too many trees to see the building from the freeway but you can drive the google car right up front if you want to take a look. I hadn’t heard about the stock dividend. That’s kindof unusual, I’ll need to go check that out. Liquidity has always been an issue with CSVI, partly because it’s an over the counter stock, but also because of the limited number of shares outstanding. Seems like it’s just a standard stock split. I expect the dividend will be cut in half as a result, meaning no change for shareholders (other than a cheaper price). Yea, not sure why the special wording and there really would be no benefit to shareholders to get half there shares back in the form of a dividend. I have never seen a stock split worded anything like that. I guess we’ll see what it looks like on April 30th but your probably right, they probably just got fancy with the wording. I couldn’t find an email address to contact shareholder services but I might give them a call tomorrow if I get some time. BANG! I thought you had a typo and typed one too many 1 in your dividend income. I had to re-read it to make sure my eyes weren’t playing trick on me. Nicely done! We got a new monthly record for May, received almost $2,000 in dividend income. Not quite as gigantic as your March dividend income though. Nope, that is not a typo! It was really $11k in March. Yes, the $22 for the airfare was a ‘travel hacked’ number. We paid for the tickets with credit card points. I think your expenses look really low. Once your kid starts school and the daycare expense is gone, your expenses will have a nice drop. And you have a good sized mortgage payment as well. If you remove those two items, you really spent very little. I wouldn’t feel guilty by what you spent on food. What’s the point of life if you don’t live at least a little? Are you really financially independent if you cannot splurge at least a two or three hundred bucks a month. I would say in your situation about DOW stock and any other stocks you have is that if they don’t perform well enough to at least beat the interest rate of your mortgage, then it was bad investment. DOW had a nice dividend, but the stock price has not performed well for a buy and hold investor. I got rid of AT&T awhile back for the same reason. It looked good and paid a 6% dividend, but the stock price kept going up and back down with no real gain. My goal is for higher than 6%. To be perfectly frank, I don’t invest in stocks because I want the stock price to go up. Quite the opposite in fact. There were 28 days in February, and 31 in March. You actually reduced food expenses by 2% per day. Your vague promise to increase monthly food spending remains vaguely unfulfilled. Nicely done. I’ve had LYB on my radar for many moons thanks to you, and I pulled the trigger early in Q1. It may be seriously undervalued, or it may just be a stodgy company that will weather a recession better than some of my other targets. But it does look like a good investment at these prices. Q1 was actually pretty good time to buy. I think you’ll do OK over time. M. Tako – That’s some nice March dividend income. What is your dividend yield on your investment portfolio? Do you keep track of that metric as well? Is there a target for you? It’s right around 2% if I recall, but varies all the time as the investment mix changes. I don’t target a specific number, but ideally I’d like our expenses to slightly trail the dividend yield over time. How did you end up paying $115 for H&R Block software? Which version are you getting? I buy the premium + state every year, which I agree has gone up, but I paid $30 this year vs. the $25 I’ve paid in previous years. Are you getting a tax advisor as well? $11,000 is amazing for passive dividend income. I hope I can get it one day in the future. Your income is three times the expense. It is very healthy cash flow. I love the end of quarters for this very reason 🙂 Plus the first quarter I usually get profit sharing also thrown into my 401k giving it a big boost as well. 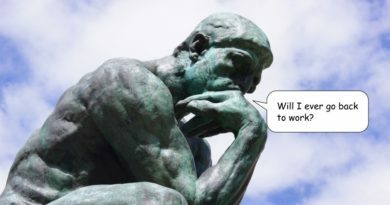 I think once I go away from the W2 job sector, I will have to be a little more cognizant of how to plan ahead for the down months between quarters. 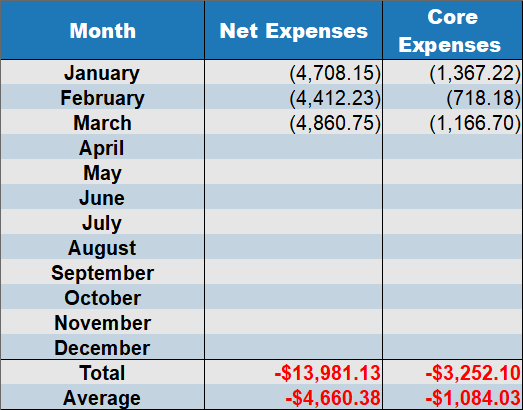 Nowadays when I have an expense I can usually cash flow it with a biweekly paycheck. 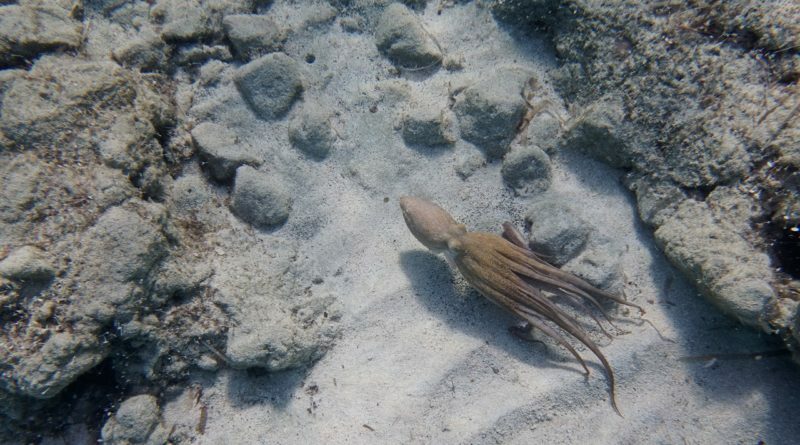 Mr. Tako, very lovely food pictures! Really makes me hungry and want to hire you as a chef lol. Did you say you had any recipes? I’ve never heard of mapo tofu. You mentioned it was really easy and a winner with the kids. Would you mind sharing the recipe? I especially like how you highlight how much better it is to make your meals at home. It saves so much money, and the quality of the meal is way better. More people need to take note. Eating out is a huge budget buster as well as unhealthy. You never know what you’re really getting. That is a nice sum of money to see flowing into your account on a quarterly basis. Also interesting comments on DWDP. I haven’t owned the company and was waiting on the breakup to consider which of the three, if any, would be a compelling buy. I haven’t spent much time checking out the new DOW, but from some the headlines and snippets of news information I’ve seen and heard, it seems like the management is committed to a very shareholder return policy via dividends. I’ll keep it on my watch list for now.